To break out of a normal conversational energy for energetic exploration, face the participants and instruct them to copy the next action. Then sing / shout a great, big LAAAAAAAA! in operatic or bellowing style and gesture to the participants to do likewise. Often unused to such extrovert expression, the participants together may not be as loud and powerful as the show-off in front of them. The group or groups within the group can then be challenged to competitive LAing. Sometimes this can be a good point to point out the importance of not destroying the vocal chords. Then try ‘quick’ with its short vowel sound and hard snappy consonants, and ‘slow’, where the s slips into the l and the o is long and the w lingers. Try other words that display these qualities. Split the group into two teams. One team has the word ‘yes’ and must say it together, giving the word expression in a performance that tries to convince the other team that the answer to some unnamed question is ‘yes’. the other team does the same with the word ‘no’. Each team takes turns, either at their own instigation or at the leader’s signal. If the leader is pointing to the teams to take their turns, the teams can be instructed to repeat the word several times before it is the other team’s turn. Again this is often a competitive game and it be obvious (or not) which team was the most convincing. Split the participants into four groups. Give each team a word that has obvious ways of expressing it e.g. happy, angry, silly, sad. As in the ‘accentuate’ game, each team takes it in turns to be as expressive of their word as possible. An individual can then conduct the orchestra of teams by pointing to them consecutively, repeatedly or even simultaneously. The game often leads to an increased awareness of how the energy of words interacts in a phrase. Each individual picks a line or two from a poem and says it to the group. Perhaps point out the natural performance that comes with speaking the words, particularly facial expression, hand gestures and physical stance / movement. Taking that level of performance to be a mid-range level of performance (an imagined 4-6 out of 10), try turning the performance level down to 0, speaking the words with almost no performance. It can often be surprisingly hard, leading to an increased awareness of the natural performance that goes with speaking words to others. Even trying to speak the words like an automaton becomes a performance. the group can point out performance when individuals are trying not to perform. Then at the opposite extreme, try speaking the line, turning the performance level up to 10, an extreme extrovert performance. This may point out how far the level of performance can go, or how far feels comfortable. It may point out how ridiculous performing continually at this level can be. Try changing the level of performance in one or two lines, going between 0 and 10 and/or back again. It may be obvious, or need pointing out, that the level of performance is not necessarily the same as volume or speed. Finally, having experienced the extreme levels of performance and the range in between, find a level of performance that feels authentic to the piece being performed and practice it. These games can be played at the start of a session to warm up a group, at any time during a session as energisers, or as the lead up to a performance. 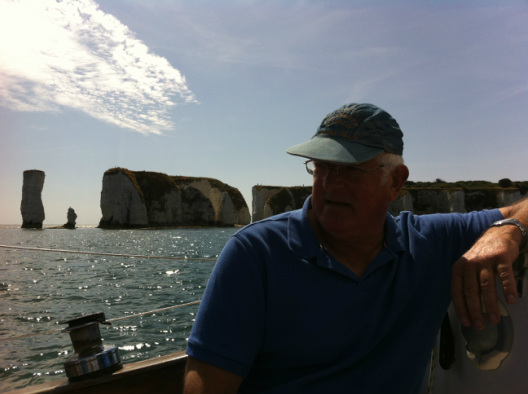 This is my Uncle Jim sailing us over to Old Harry rocks in Dorset. Is where I was born. But I am native of the sea. 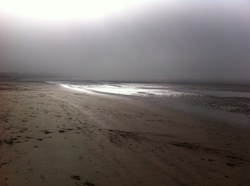 As the keel slips into the sand. Like a slice of sky. Like shadows in the birch. Will not whisper my whereabouts. And the celebration of gold. Think it dark to point of black. And ride the swirling cloud over the edge. Of settle, depth and melt. Through the blue is the void. Am bison, sacred, dead, and alive. I'm exploring why I love the West Country. From that we've left behind. Runners, broad, magic and mangetout. 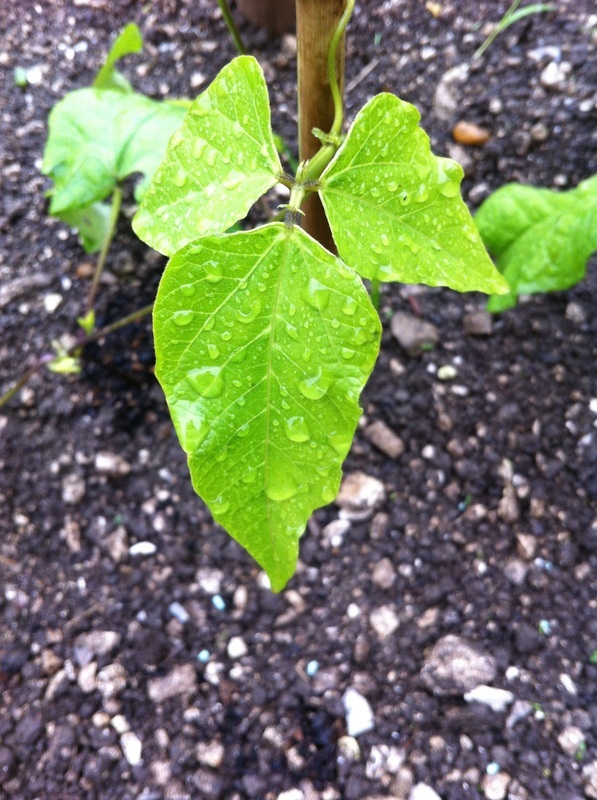 And giving enough water to propagate green shoots. And a pile of any stones bigger than the circle of finger and thumb. I’ve been collecting like it’s Play School. Gloves, upon my face, the given grace of rain. I breathe. Tomorrow will be good enough. Detached with a gentle diesel thrum. Milk bottle clinking delight at something completed. But nothing does, so that's ok.
And my senses: explorers, fisherfolk, survivors. And the celebration of sea gold. I sing my highland island song. I make my own meaning, crown myself. Who else could be lord of these isles? Life laid down and given. Window seat vacancy and in between each dot of empty stuff. Horse-riders, carvers of plate and cross and cup. Youth Poets v MCs, Glastonbury, the Ashes, and a weekend of Wise Words. Autumn is here and the chaos of the blast matches the machinations of my mind, but Blimey! What a summer! The equinoctial nature of my blog posts, so far, means that I've got a whole summer of poetry adventures to relate. This might require the engagement of your time and consciousness. On the other hand, summarising these expeditions into two posts a year means that I know you've got the time to read it. And, as I recently condensed 13.6 billion years of the history, physics, chemistry, biology, geology, geography, sociology, politics, poetry and maths of Existence into a 7 minute song, 6 months of my life should be no sweat. While I was remembering how to be me on stages across England in the winter, I was also leading a team of spoken word genius inspiring young people across Brighton and Hove to be themselves on the stage of Bite! 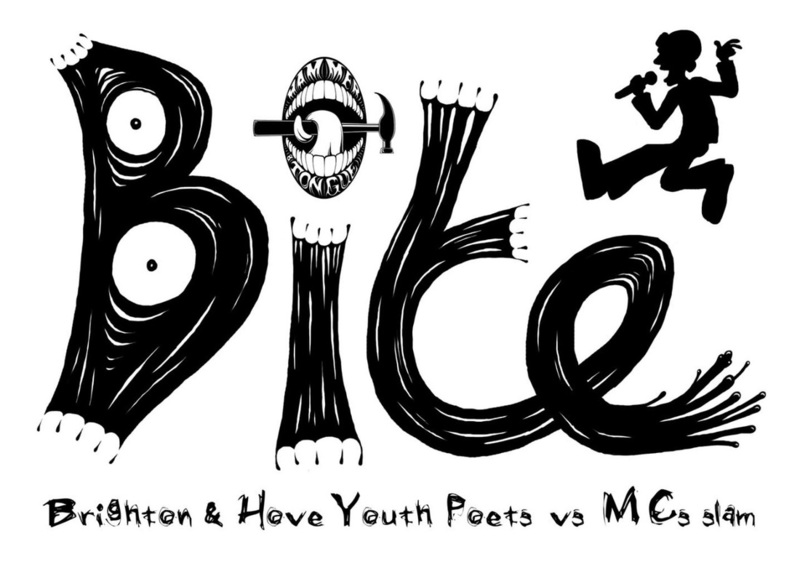 : The Brighton and Hove Youth Poets v MCs Slam. With support from some ACE people, our little bipolar city and some Apples and Snakes from South East of Eden, the team: myself, Rosy Carrick, Paul Stones, Adam Kammerling, Tom Hines and Jon Clark, took our gobby posturing into the schools and youth clubs of Sussex-by-the-Sea. We are all veterans of our own annual clash that grew from an event that Tom and Paul organised in a tiny pub in 2003 to the biggest spoken word show that I know: a crowd-freaking event at the Concorde II, where we leap from smirking pantomime to the spilling of metaphorical blood. It was time to run a young performers' version, and the youth clubs took it up. The youth clubbers did not need reminding that they were individuals and we were equally loved and hated, adored and ignored. But like Rocky, or Luke Skywalker, or the largely blonde aerobics team in the worst film I ever saw, (about two competing aerobics teams,) we came back from the brink using will power, teamwork and The Force to bring two teams of Wordwarriors together to create an astonishing show. And we created it together, out of laughter, banter, rolled up pieces of flip-chart paper and gaffer tape. Two images of the pre-show workshop stand out in my mind: we took it turns to perform a line or two and then step back and watch the rest of the team, poets and MCs, coaches and new-blood, perform it back to us, mimicking physical, verbal, vocal style. A truer, more joyous, mirror never existed. And then, as the door-opening time approached, we looked around at the team we'd created, the boxing ring stage we'd created out of stage palettes, plastic tubes and the aforementioned paper and tape (for the ring rope), and the mess we'd created in the room, there was a simultaneous feeling of readiness and panic. 10, 9, 8, the microphone was dangled from a hook in the ceiling above the ring, 7, 6, stools were placed in opposite corners and boxing gloves placed on them, for effect, 5,4, the ringside light went on, the music went on, 3, 2, the last scraps of paper were scrunched into bin bags and thrown behind the stage, 1, the teams took their places on opposite sides of the ring, the doors opened and a large, diverse crowd of people poured in to what seemed the most well-prepared and perfectly set-up show they could imagine. And the young performers stormed it. Ok. That'll do for now. I've got a world to put back on its axis. The rest of the summer later. Blessings. Where was I? Oh yes, roaring. Trying to work out whether to follow the advice of Robert the Bruce to try, try again, or of Yoda to do. Or not do. But in the mean time, roaring. This is not so much an inner critic as an internalised gang of bullies that have stalked me off the playground of my childhood and I've projected onto unsuspecting audiences, friends, lovers and family for years. Sorry. 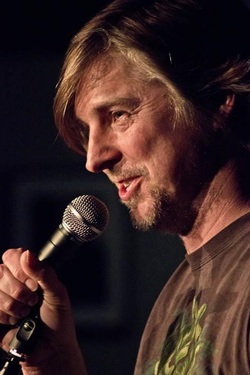 Two days later I am hosting my own Hammer and Tongue Brighton, putting on a damn fine show and turning my social phobia into a gift for the audience, an energetic clumsiness that nicely balances Rosy's slick wit. So, try again: Hammer and Tongue, Camden, February. Good poems. Good audience. Good welcome. Good attitude to performing: aware of the antics of my inner critic I ask him politely to sit down and wait until I get off stage when I will be quite prepared to discuss the good and the bad of the show. Fair enough. He nods and sits with the rest of the audience enjoying my poems, enjoying my performance, laughing at my jokes and coming with me on my adventures. Not so different, it seems from video footage, to my Oxford and Hackney shows, but a whole load different inside, and maybe that subtle difference in the vibe. So I tried, and tried again, or maybe, finally, I didn't try, I just did. I put on a show that people enjoyed. As well as my more boombastic stuff, I performed a poem that places on stage a sad and scared little boy being bullied in the playground and I let him let out his feelings. I started a peace process between armoured ego and vicious superego, performer and critic, me and a world that, sometimes, scares me. There's no such thing as failure, only learning opportunities. Let go of attachment to success. High-fived by my folks, I sit down to learn from the Masters of opposite realms, yin and yang of Taylors, Stewart and Joelle. Yoda and Robert the Bruce both smile at their Initiate and get me a pint. Cheers.